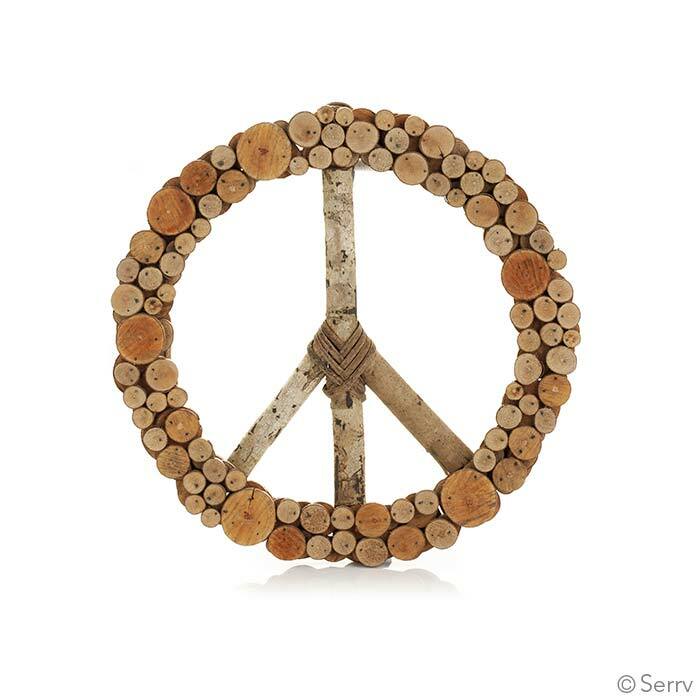 I ordered this for a friend who loves anything having to do with peace signs. It was perfect for his patio garden. The item arrived within just a couple of days and was even nicer than I expected. A perfect gift for my friend! Adorned with red bows and yellow flowers these peace symbols were a perfect greeting on the church doors for our Pentecost celebration! I wanted to get a new wreath for my front door, but all the ones I saw left me cold, even if I liked the look of them-didn't know why. The prices were outrageous, too. Then I thought I should get a handmade one, that was what was bothering me, I wanted the product of someone's creativity, but all the ones I saw at local fairs were really tacky. 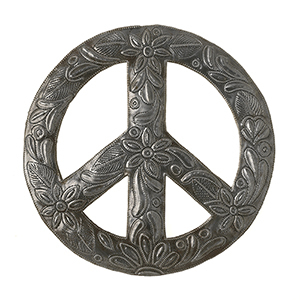 I had gone to serrv to buy something else, and I came across this peace sign and when you find the right thing, you know it! It looks fantastic on my home, and it is a blessing-in this time of viciousness, violence and pure meanness, I can at least proclaim my values, and mark my home at the entrance as a sanctuary of peace. 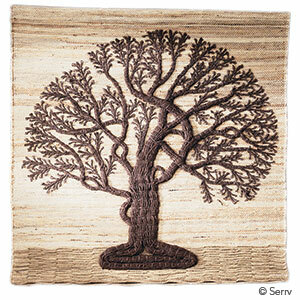 Thanks and blessings to the craftspeople who did such a beautiful job on this, and for such a reasoable price. Very cool wreath. Sells well in our store. This lovely wreath is nicely made and a wonderful value for the price! It looks beautiful on my woodland house and is a meaningful note beyond just being decorative. I don't know how well it will weather the winter but I'm prepared to repair or buy it again if it doesn't. Highly recommended! 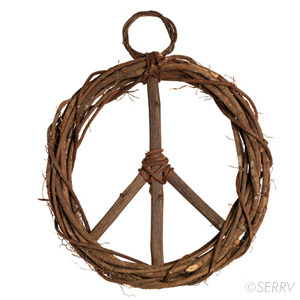 I love this inventive peace sign. It is hanging on my porch. Awesome porch decor, great quality and I love the uniqueness. This is so well crafted, unique, and gorgeous! I am so glad I bought for our sunporch! !